That�s a lot of plastic cards that need to be produced, issued, reissued, and disposed of on a daily basis. Imagine the adverse impact that�s having in landfills and other refuse collection systems. 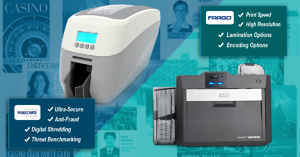 Not to mention the natural resources it takes to manufacture the printers and supplies and to print and issue cards. Regular PVC ID cards remain structurally intact in landfills for decades, which has a direct effect on our environment and our level of pollution. Rewritable cards. Instead of disposing cards no longer in use, you can erase the information on rewritable ID cards and reprint them with new data to be reissued as a brand-new card for someone else. The only drawback is that most rewritable cards can only be printed in monochrome, so if you need a full color photo on your ID cards, this might not be an option. Refillable ribbons. 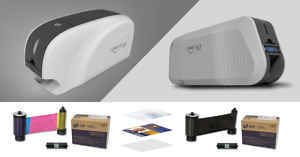 A lot of card printers now are designed to use refillable ribbons, which helps eliminate some of the waste generated when you throw out used ribbon cartridges. The newer ribbons come in a reusable cartridge, and when it�s time to replace the old ribbon, you simply pop the new ribbon in the old cartridge and insert it into your printer. Recycled lanyards. Recycled plastic lanyards are a great way to decrease your eco footprint. PET plastic can be recycled and fashioned into new products, so purchasing recycled lanyards takes the place of producing new PET products from nonrenewable sources. There are several recycled lanyards available, so you�re sure to find something that fits your needs. Phthalate-free supplies. Phthalate is a serious pollutant, and when found in the environment, can have a detrimental impact on humans� and animals� health and reproduction. To help reduce the amount of this harmful chemical in the environment and in our air, choose Phthalate-free accessories, like strap clips and badge holders. Eco-friendly printers. 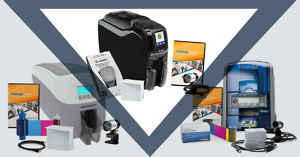 There are several manufacturers that produce Energy Star Certified ID card printers to help save on the resources needed to produce your company�s ID cards. 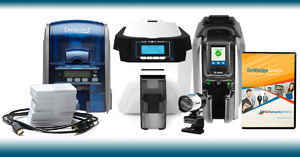 For example, Zebra, Evolis, and Fargo have several models that are all Energy Star Certified, meaning they use less electricity to operate, which saves you money and protects the environment. One benefit of proactively managing your company�s eco footprint using the above strategies is that you can let your audience and customers know that you�re doing everything you can to issue eco-friendly ID badges. It will definitely have a positive effect on your brand�s reputation. 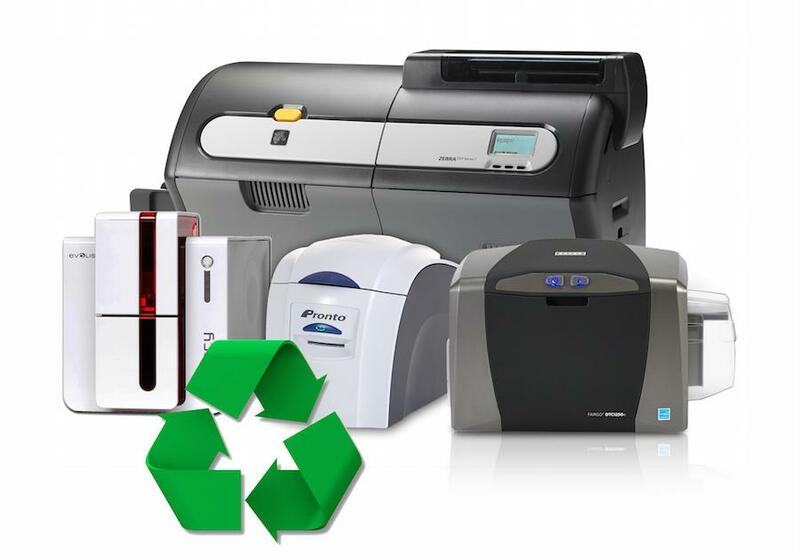 If you�re interested in investigating how you can reduce your carbon footprint, call one of the experts at IDSecurityOnline to discuss which ID card printing solution is the most energy efficient and which supplies are the most eco-friendly. 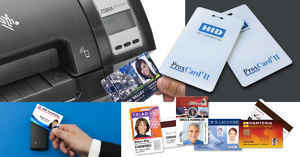 We�ll be happy to help you create an ID card solution that addresses your company�s needs, your budget, and the environment.